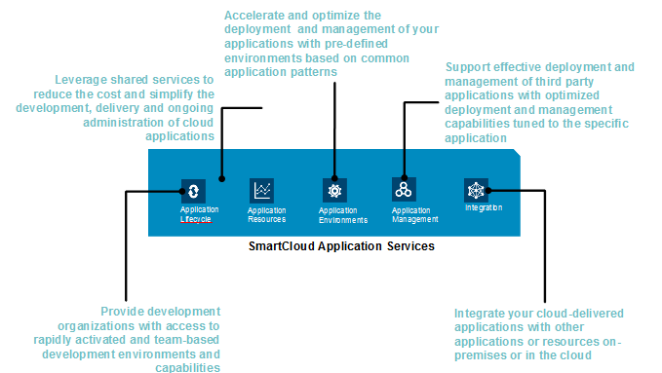 I will explain in this article how to provision the different services provided by IBM SmartCloud Application Services. IBM SmartCloud Application Services two main services are implemented which cover the application lifecycle, the application environment and part of the integration. First, the IBM SmartCloud Application Collaborative Lifecycle Management Service, which allows you to manage your application lifecycle development, is based on Rational products such as Rational Team Concert, Rational Quality Management, and Rational Requirement Composer. Second, IBM SmartCloud Application Workload Service, which allows you to deploy topology on the IBM SmartCloud Enterprise via virtual application or system patterns, is included. The DevOps methodology consists of a number of use cases to manage application development and operations. DevOps covers three areas, development, quality assurance, and technology operation: IBM SmartCloud Application Services helps with all three. Adopting DevOps will provide a reduced change scope, increase release coordination, and speed automation. Both services, IBM SmartCloud Application Collaborative Lifecycle Management Service and IBM SmartCloud Application Workload Service, are used for the DevOps scenario. For example, in Rational Application Developer a developer tracks the ‘defect’ managed by the IBM SmartCloud Collaborative Lifecycle Management Service and uses the Workload Deployer plug-in to create a test environment on the IBM SmartCloud Enterprise using the IBM SmartCloud Application Workload Service. IBM SmartCloud Application Services provides the functionality needed for each segment of the DevOps scenario. You will need also to provide an SSH key to the SmartCloud Application Services, if you don’t have one yet and it is better to make it default. 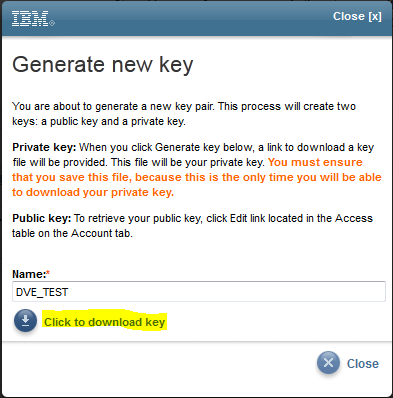 To do that, go on the SmartCloud Enterprise platform, in the ‘Account’ tab and click on ‘generate a new key’ (You can also provide your own key if you wish by selecting “add key”). and download the key on your local disk. (You will need this file if you want to connect the generated instances via ssh). 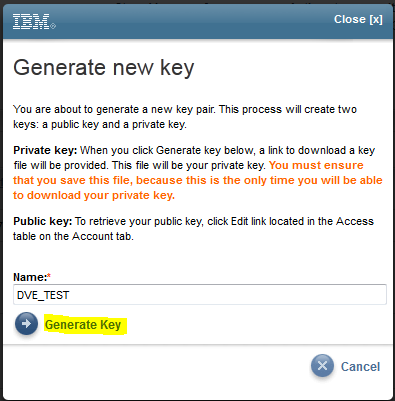 Make it default by going back in the ‘Account’ tab, click on “Change default key” and select the just generated key. After having deployed the SmartCloud Application Workload Service you have to add your SmartCloud Enterprise credentials in the SmartCloud Application Workload Services in order to be able to deploy instances on SmartCloud Enterprise from SmartCloud Application Workload Services. After that open, the SmartCloud Application Workload Services and go in ‘Cloud’->’Cloud Group’ and select the ‘SCE Default Group’. Conclusion: Within a few minutes, IBM SmartCloud Application Services are ready for use. This entry was posted in IBM SmartCloud Application Services, Video and tagged #ibmcloud, #SCACLMS, #SCAS, #SCAWS, #smartcloudenterprise by ITDoVe. Bookmark the permalink.